Janet Boyle, a founding partner of Boyle Feinberg, P.C., named to The National Advocates Top 100 Lawyers and Super Lawyers lists. 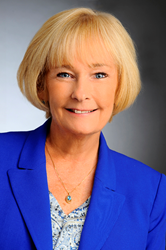 Janet Boyle, Boyle Feinberg, P.C. We are personally involved with each client and any significant undertaking in their case. Janet Boyle recently became one of America’s Premier Attorneys after being named to The National Advocates Top 100 Lawyers. “This is quite a prestigious honor and I am deeply grateful to be recognized by The National Advocates,” said Boyle. The National Advocates Top 100 is an invitation-only professional organization composed of the Top 100 attorneys from each state or region who serve individuals and families needing attorneys to represent them in the American legal system. Members of The National Advocates Top 100 exemplify superior qualifications of leadership, reputation, influence and performance in their area of specialty. In addition to The National Advocate Top 100 Lawyers, Boyle was also recognized by Super Lawyers for 2016. Super Lawyers is a rating service of outstanding lawyers, such as Boyle and her law firm partner Joy Feinberg, from more than 70 practice areas who have attained a high-degree of peer recognition and professional achievement. Boyle founded Boyle Feinberg, P.C. with Feinberg, both of whom were also awarded American Institute of Family Law Attorneys 10 Best Client Satisfaction 2016 accolades. They combined their talents to form a law firm focused exclusively on family law. For more than thirty years each, attorneys Janet Boyle and Joy Feinberg have been providing exceptional legal services and obtaining superior results for clients throughout the Chicagoland and North Shore communities in all aspects of family and matrimonial law. Boyle Feinberg’s practice is devoted to the resolution of complex family law cases, by negotiation, mediation or litigation. For more information or to schedule an initial consultation with one of the Boyle Feinberg attorneys, please call (312) 376-8860, or visit http://www.boylefeinbergfamilylaw.com.